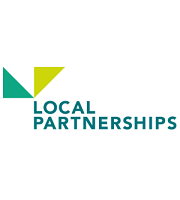 We support waste partnerships and wider local authority partnerships in developing their joint working activities and in seeking to develop service efficiencies. This is often linked to service reviews, waste strategies, options appraisals and business cases. Frith Resource Management often works closely with waste partnerships to explore joint working and in order to improve efficiency and promote sustainable use of waste. Frith RM have worked with six different waste partnerships and has recently delivered several projects with Warwickshire Waste Partnership (WWP), comprising all the local authorities and County Council. The WWP aims to improve recycling credentials in Warwickshire. During this collaboration, Frith RM outlined several possible solutions that would allow for greater efficiency in service delivery and performance. Approaches such as a common collection services, shared infrastructure, strategic depot location and joint procurement were modelled and presented to the officers and members. This allowed Warwickshire Waste Partnership to determine which approach best suited their needs and act accordingly.